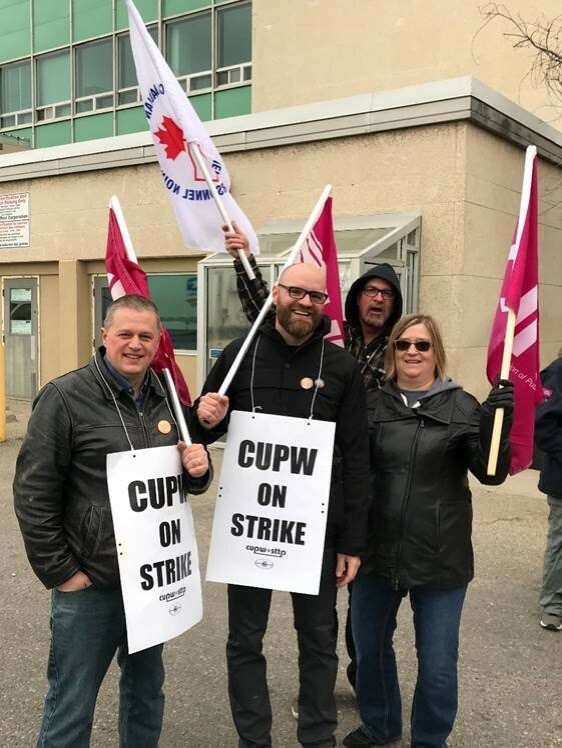 CUPE members and staff delivered solidarity to the strike lines of postal workers in Regina today by donating one thousand dollars and joining the picket line to show support. Members of the Canadian Union of Postal Workers have been on rotating strikes since October 22, 2018. Rotating strike locations in Saskatchewan were announced in Moose Jaw, Saskatoon and Weyburn locals earlier this week, and today in Regina. “CUPE members across Saskatchewan are with you in the fight for fairness,” said Judy Henley, Secretary-Treasurer of CUPE Saskatchewan. “We urge Canada Post to return to the bargaining table and meaningfully address the needs of postal workers for improved job security, working conditions, service expansion and equality,” said Henley. CUPE members are urged to not cross picket lines and to join picket lines at rotating strike locations to show support. Please respect and understand mail delivery delays as postal workers engage in rotating strikes.